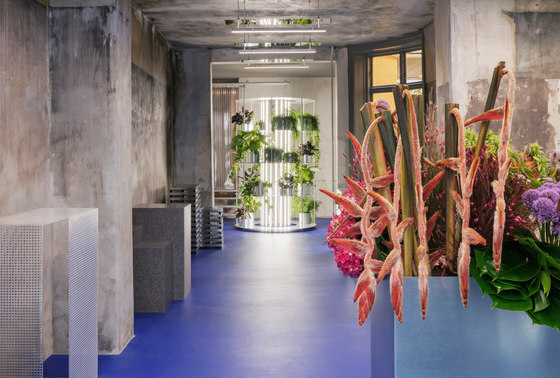 Studio David Thulstrup has turned flower selling into an art form, creating a theatrical and dramatic retail space for TABLEAU, a new store in a characteristic 19th century building on Store Kongensgade in the heart of Copenhagen. 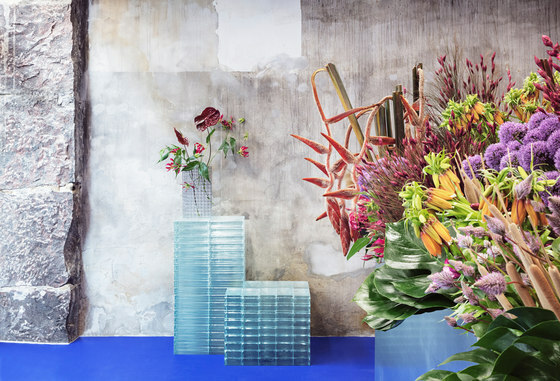 TABLEAU is the brainchild of Julius Værnes Iversen who runs Copenhagen’s popular BB Blomster flower stores with his brother Magnus. 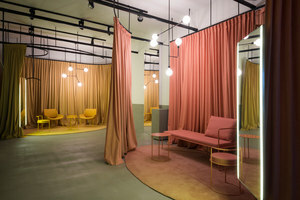 “With TABLEAU Julius wanted to take flower selling to the next level and open the best flower shop in the world where flowers are still the main game, but the space is super-cool and inspiring,” says David Thulstrup, principal and founder of the Copenhagen based design and architecture studio. 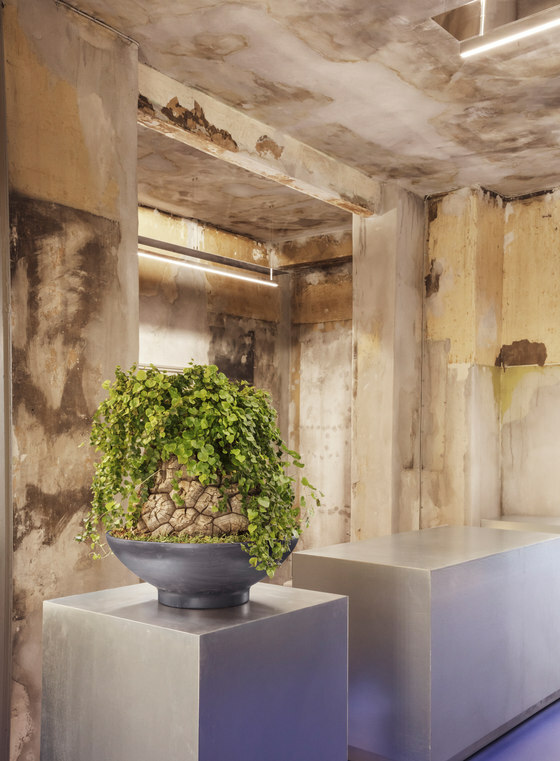 Iversen gave Thulstrup a freehand to design the gallery-like interior and everything in it, including architectural podiums for displaying floral arrangements like art installations, a growth rack for pot plants that doubles as a light sculpture and atmospheric overhead lighting. 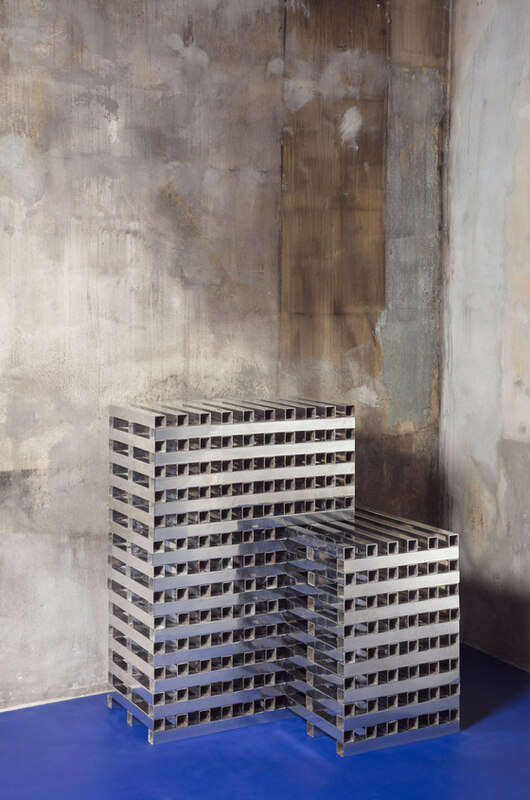 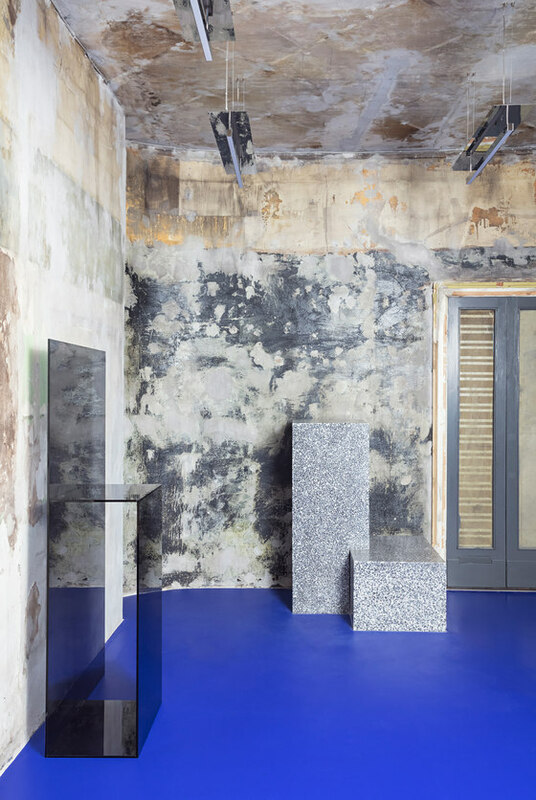 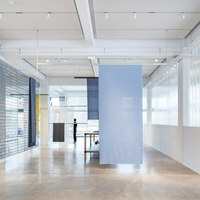 In keeping with TABLEAU’s theatrical brief, Thulstrup stripped back the walls and ceiling to expose raw concrete and bricks but retain old fabrics and textures showing traces of the space’s previous inhabitants. 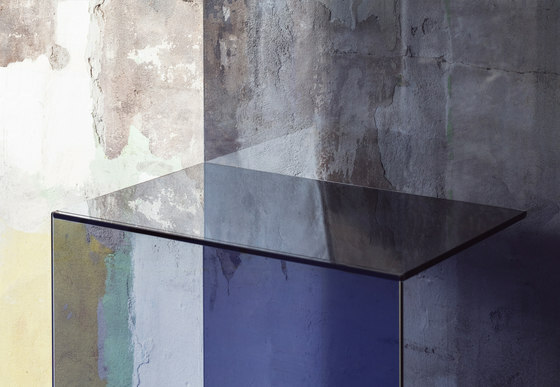 “It’s called TABLEAU because Julius wanted us to create these striking groupings or scenes,” says Thulstrup. 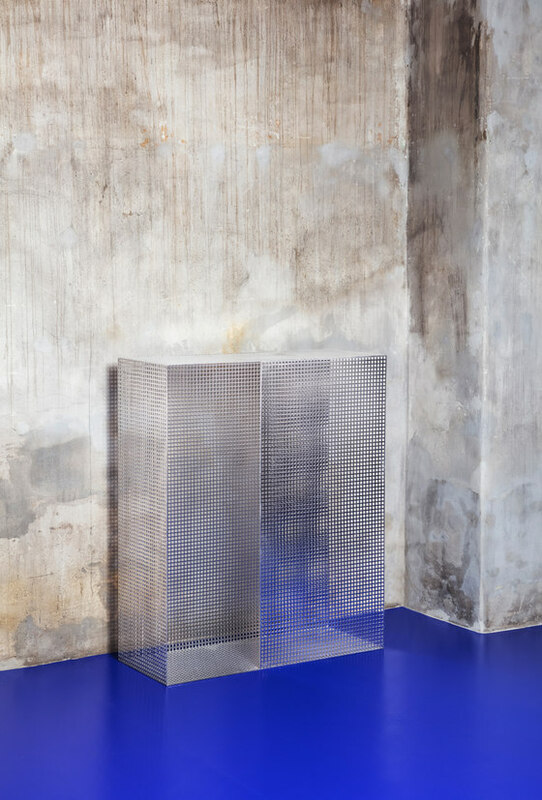 To that end he designed six podiums each made of one material - terrazzo blocks, grey glass sheets, transparent glass bricks, Bornholm stone, polished metal profiles and perforates metal sheets. 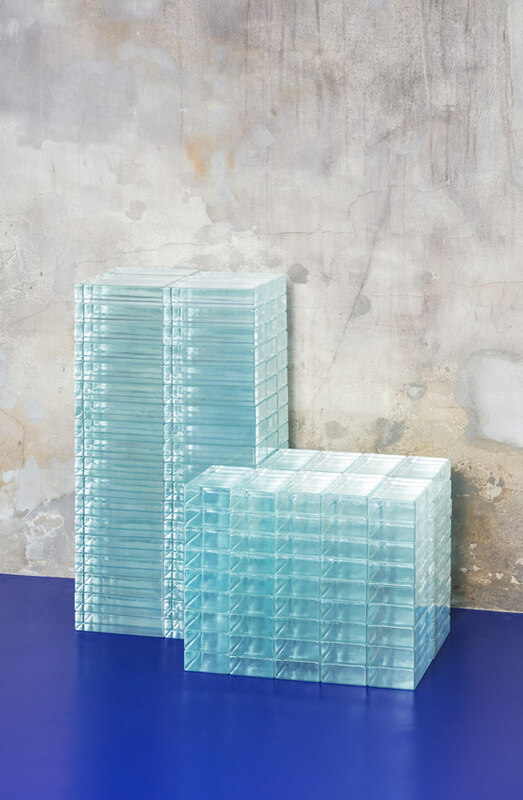 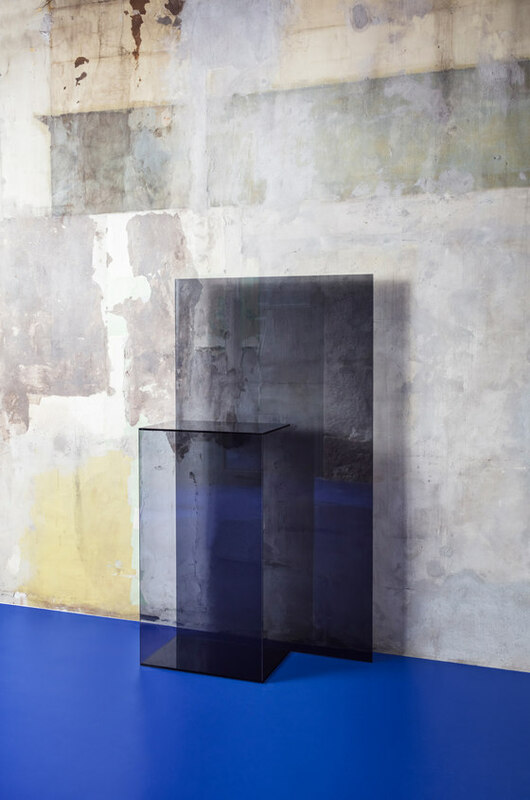 They sit on a bright blue vinyl floor, which is a foil for their architectural shapes and the rawness of the walls. 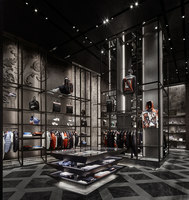 The floor is reflected in specially designed LED luminaires in a mirrored metal finish that appear to float on the ceiling. 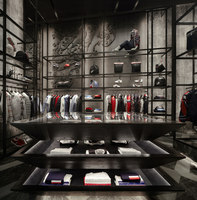 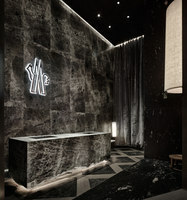 Custom-designed counters are made in galvanised metal. 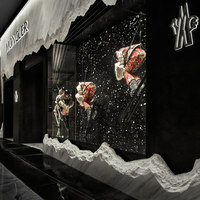 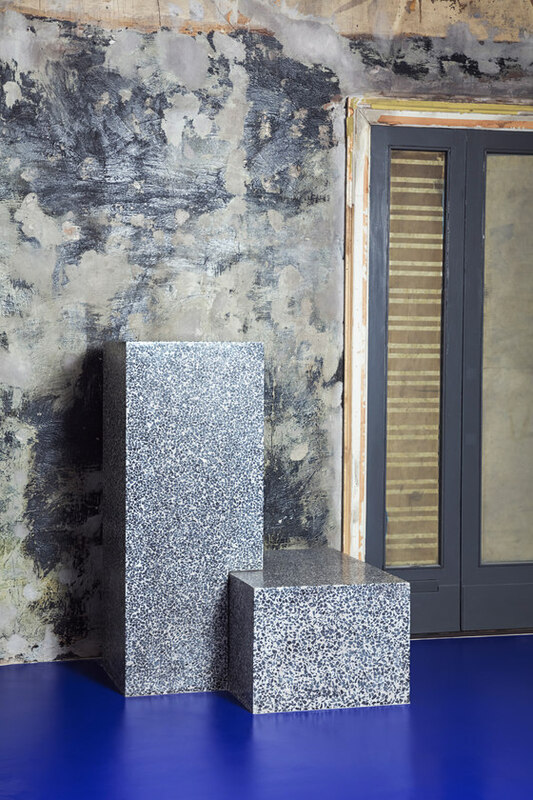 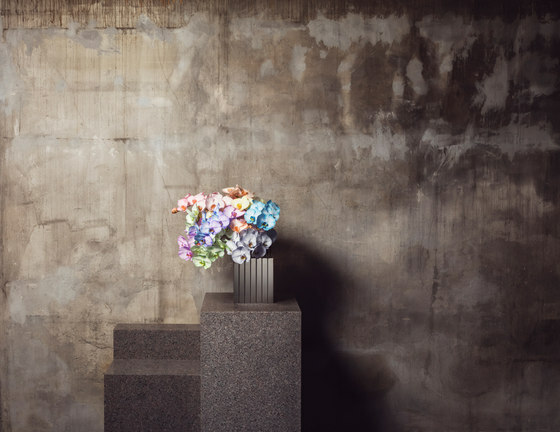 “It’s all about the monumentality in the materials which are made into geometric shapes with as little intervention as possible to keep a clean frame for the floral displays.” Like the flowers the podiums are for sale as are vases created by TABLEAU in collaboration with artists such as sculptor Poul Isbak. 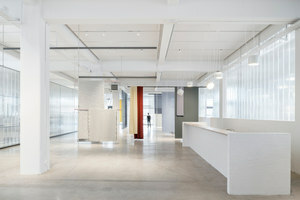 Thulstrup devised a creative solution to Iversen’s practical desire to use the rear of the space to display pot plants. 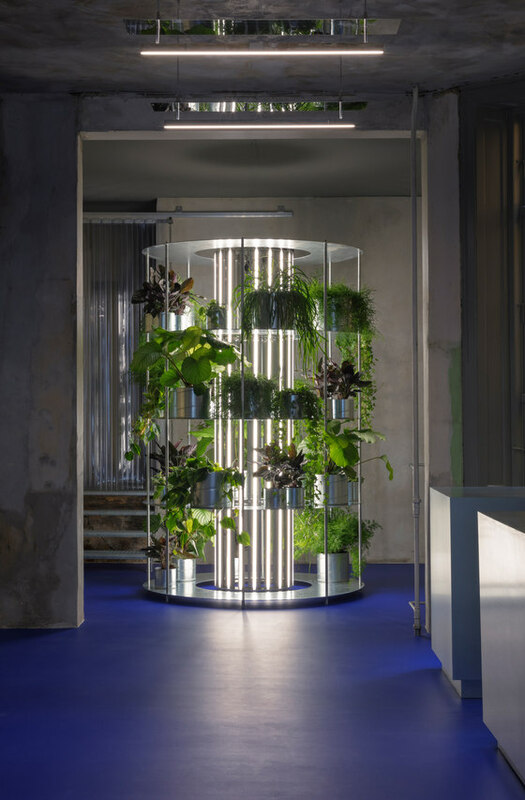 “He wanted to show all these pot plants but it’s so boring to have shelves on the wall so I did a light sculpture inside a bespoke rack,” says Thulstrup. 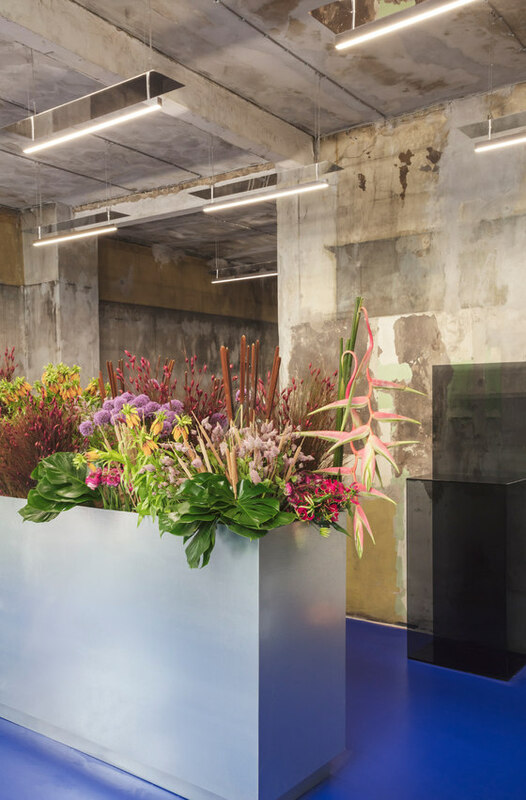 During the day the light irradiates as a cool white while overnight it becomes an edgy pinky-purple growth light, which enables the plants to grow but also adds a sort of disco feel when the store is closed.